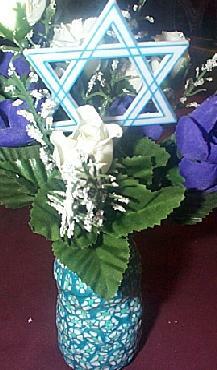 This page for now has pictures of mostly Jewish center pieces but most of these crafts and be adapted for any event. 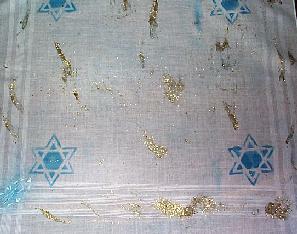 Cloth Covers used to cover the Challah or Jewish braided bread traditionaly used for Friday nights and other special nights. 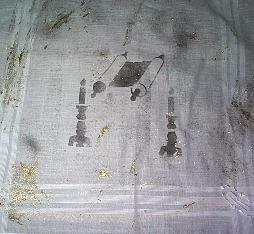 The bread is covered to keep it "special" until time to say the blessing over the bread. As part of my son's Bar Mitzvah training he did some volunteer work. Helped the homeless, volunteered at a Youth Lounge with younger children. 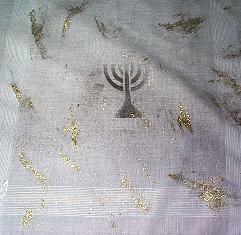 We worked together to make 24 different challah covers to donate to our Temple to use one on each table. We used the fabric pen blopens. He used their foot pump to so he would not get sick from all of the blowing! After about 10 his foot was tired! Blo Pens sets come in different colors but only in plain colors for Fabric. 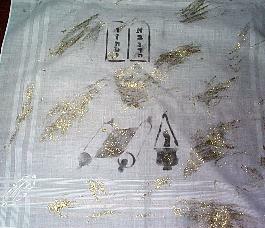 We added glitter fabric paint to make it fancier. 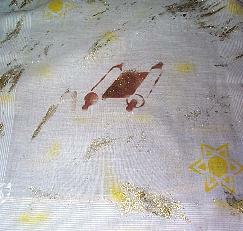 We had a stencil with religious objects we used with the blo pens. We were surpised how dark and therefore how much paint we used on the first few of them. We ended up using less paint and less objects as time went on. 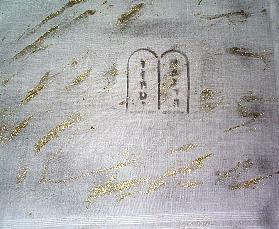 Religious Stencil (offered at the Israel Book Store and 1-800-Dreidel.com links to both places are on my my Jewish Resources Pages. 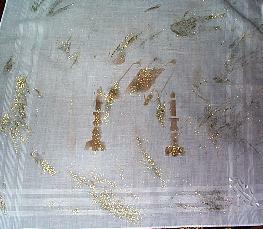 Glitter or other three dimensional Fabric paint. 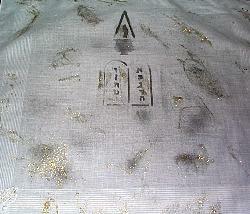 Electric Iron to set the paint. 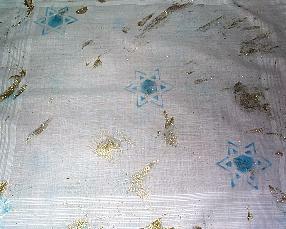 Wash the cloth hankerchief. This takes out chemicals that can effect the paint. Iron if needed. Follow package instructions for the blow pens. 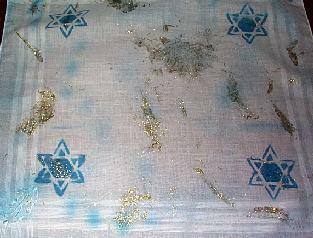 Use lightly as the paint will run out if you are making a lot of cloths. 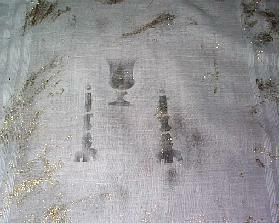 After paint dries iron just the stencils to make them permanent. 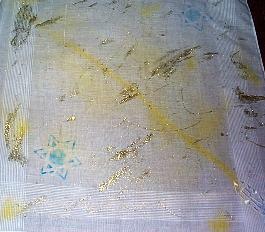 Accent with fabric glitter or other three dimensional paint. 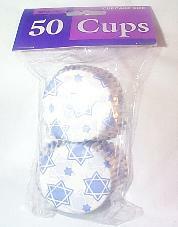 Bar Mitzah or Jewish picks I found at 1-800-dreidel.com. Center Pieces For Special OccasionsFor the family party after my son's Bar Mitzvah we made our own center pieces. We used single vases for the small table and a triple vase for the head table. All of the vases were made with a thin layer of White Bulk Style Sculpey. 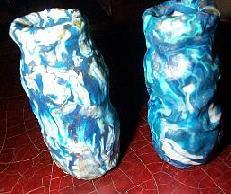 Three vases were fused together using clay wedges that were then covered with canes. We made 14 different vases using lots of blues. We mixed the canes up on some and used all the same on others. We used satin glaze with a little metallic gold powder mixed in. 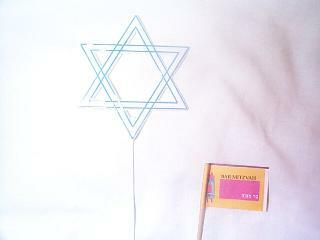 Make your own Jewish Centerpieces. 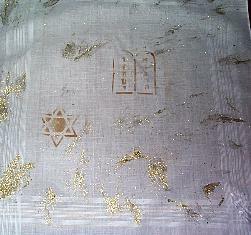 One of the same vases with a Jewish Plastic stemed Star of David. (Called a star pick) Got it at 1-800-dreidel.com. 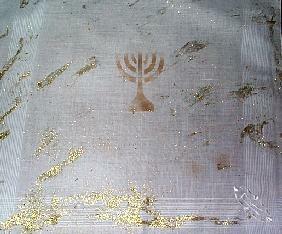 See my Jewish resource page for more info. See my clay page for more clay ideas and lessons on how to make canes. 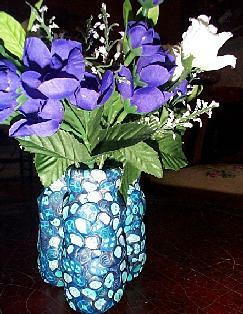 Plus see my See My Recycle Clay Bottles Pages for full directions on making these vases.